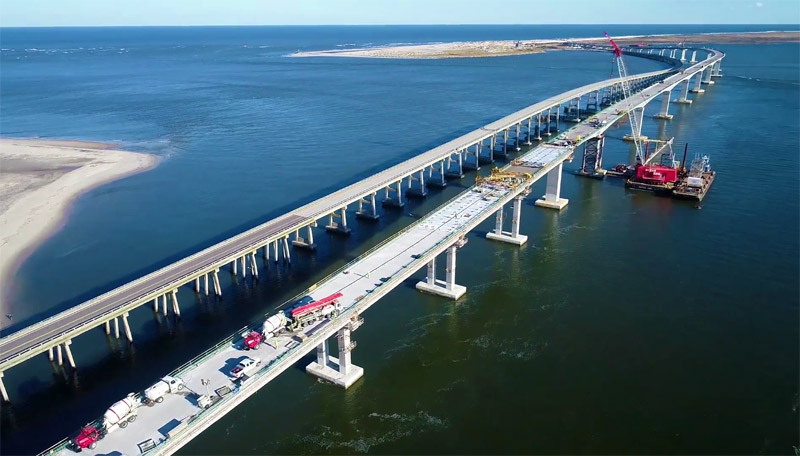 The new bridge that will replace the Herbert C. Bonner Bridge over Oregon Inlet is expected to open to traffic as early as mid-February, thanks to mild weather and an accelerated pace of activity by contractors. The opening date could still be pushed back by inclement weather or other factors, but engineers still expect the new bridge to open to traffic in February. Hopefully NCDOT will get moving on getting the 1 mile or so after the bridge ends. The area is regularly flooded and covered with sand. In my opinion it has been more of a problem in the last 6 months than s-curves. I only wish the bridge had gone another 1 mile or so, but it is too late for that.